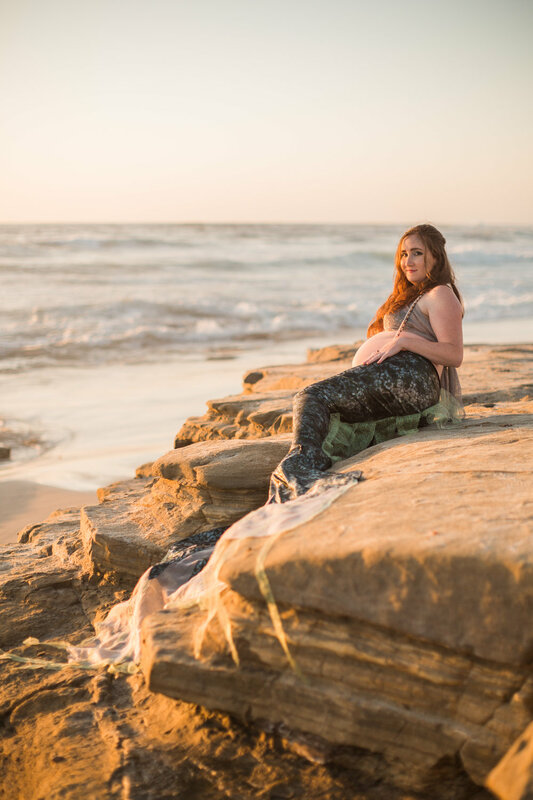 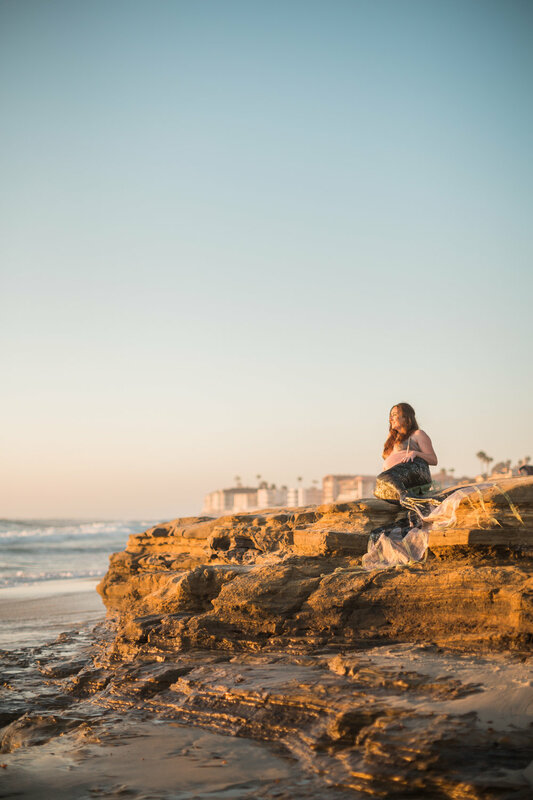 Maricica wanted to do something fantastic and whimsical for her last maternity session, so she decided to turn herself into an expectant mermaid and invited me to take the photos! 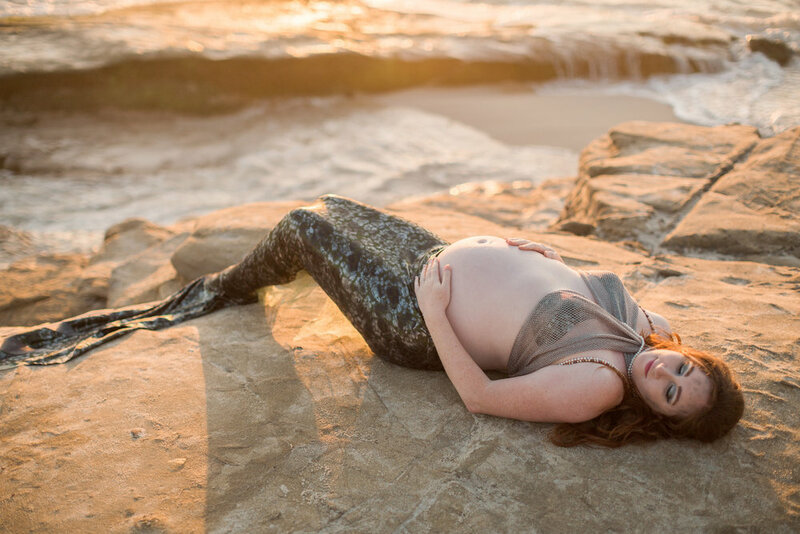 I mean, when a mother (and a dear friend) calls you up and says, "I made a mermaid costume and I want to take pictures as a pregnant mermaid by the beach;" there's definitely a huge level of excitement and elation involved. 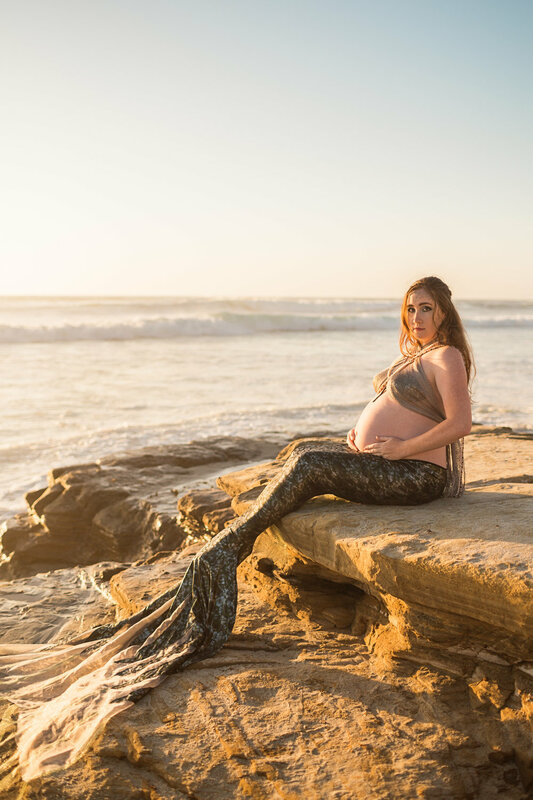 She created the costume herself from a shimmery spandex material and a netted top, her makeup and accessories were also put together by this mom-to-be during the first days of her maternity leave. 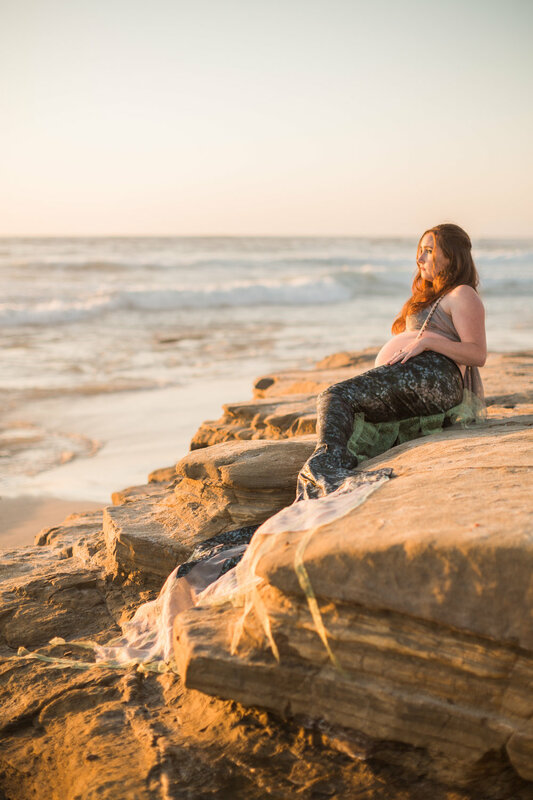 We decided on a Windansea Beach as the location so we could be both safe and get some support from the natural sandstone cliffs since she was at about 35-36 weeks along. 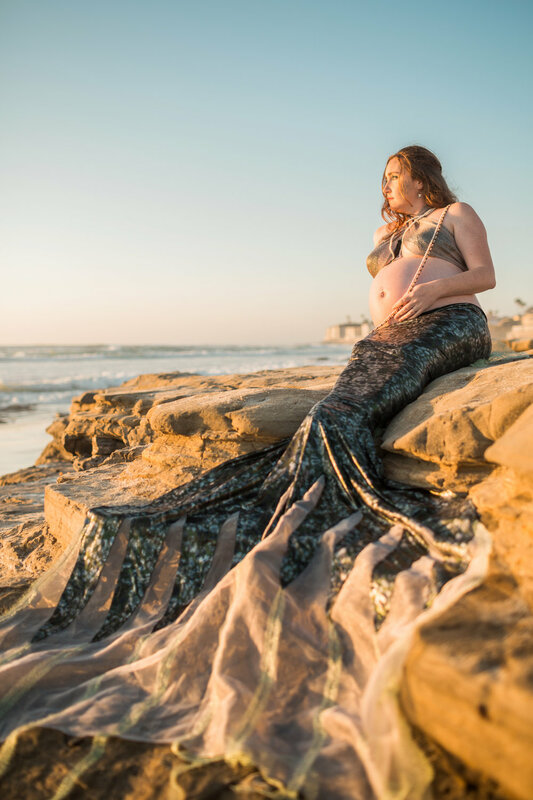 Maricica is a wonderful NICU nurse at a hospital in Southern California and was thrilled to have her first baby, a boy, in the weeks after this session. 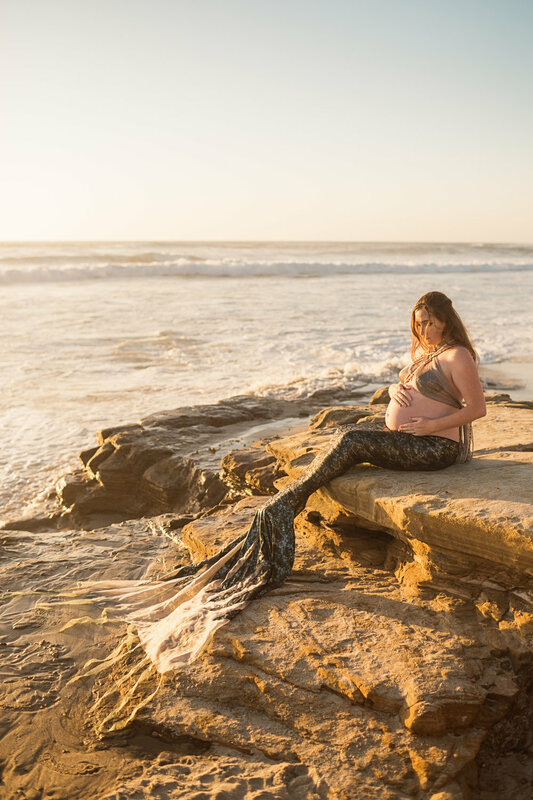 Her dream was to leave a fairytale record of her pregnancy for her son and with this being her final session (out of 4 total sessions), she went all out on the fantasy and she is absolutely beautiful! 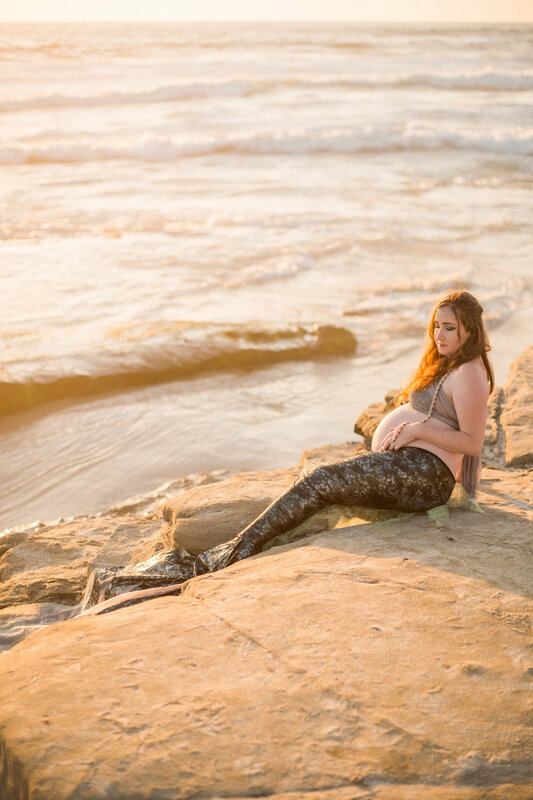 I'm still so much in love with these photos... makes me miss her and my home.